Feature image above: Victor "Bitori" Tavares. Photos by Charles "DJ Graybeard" Williams. The Richmond Folk Festival might not get a lot of hype outside of Virginia--and with well over 200,000 mostly locals flocking to the free event, it hardly needs it. But its 13th edition, held Oct. 12-14, boasted a lineup that would make world and roots music fans in many larger cities envious. 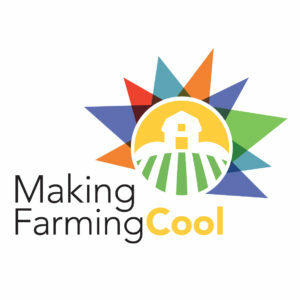 At any given time there were six stages going, plus cooking demonstrations, craft exhibits and a documentary film series. Groups typically played three sets over the weekend, plus a multigenre workshop, but there were still plenty of hard choices to make. Nearly every one of the 38 acts that appeared at the festival represented a different genre, region or country, and quite a few came from the African diaspora. There’s a lot more to Cape Verdean music than the lilting sounds of Cesaria Evora, as proven by Victor “Bitori” Tavares, the 79-year old accordionist whose funaná band has started touring internationally. Thanks to Bitori’s steady hand and the propulsive vocals of Chando Graciosa the band had an earthy, upbeat sound that would likely appeal to any merengue fan. Bitori ended up their U.S. tour in Richmond but is planning on returning next year. One of the big hits at the 2017 globalFest was Betsayda Machado y La Parranda El Clavo, an Afro-Venezuelan song, dance and percussion ensemble that specializes in parrandas, a cheerful Christmas-time tradition with deep African roots. Word got around and Machado and her family band spent much of this summer and fall playing to U.S. audiences. Their set in Richmond was an emotional rollercoaster. Machado explained her drive to preserve her tradition and show the world a different side of Venezuela, but it was also a party with the members coming out into the audience to encourage dancers. The fest is programmed by a local committee in conjunction with the National Council for the Traditional Arts, whose floating National Folk Festival stays in a city for three years before moving on while the local community keeps an annual event going. 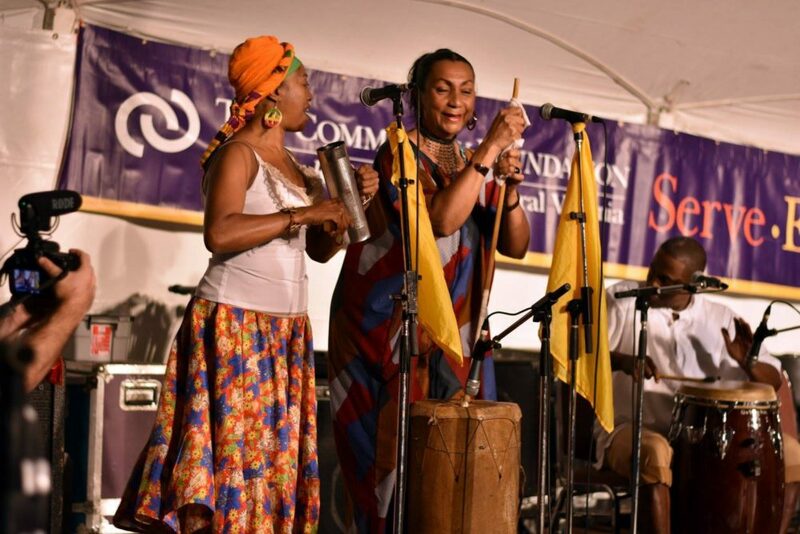 While the NCTA is happy to host internationally touring bands, its real focus is on highlighting groups that preserve their traditions here in the U.S. New York-based Innov Gnawa has quickly become an NCTA favorite, playing festivals this year in Lowell, MA and Greensboro, NC. 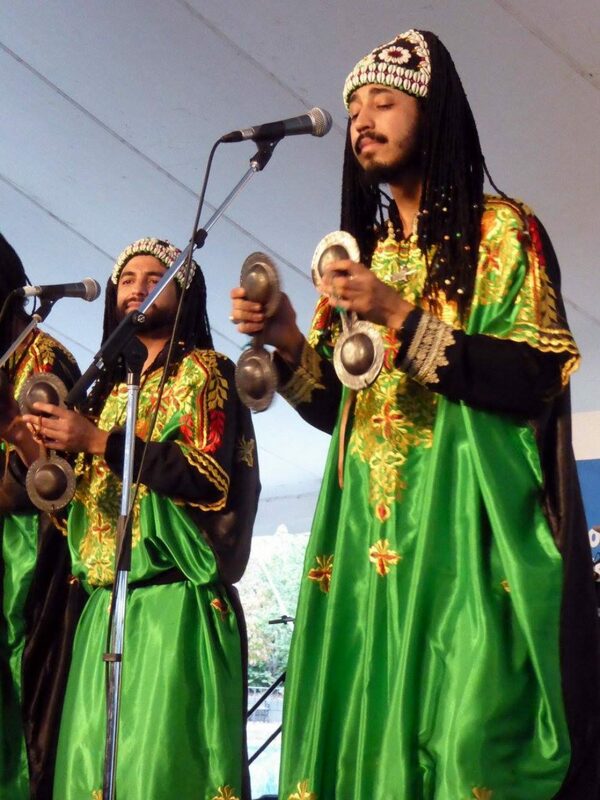 The unit, which was part of Afropop’s recent spotlight on Moroccan music, is led by second-generation Gnawa master Hassan Ben Jaafer, whose sinter (bass lute) playing is layered over the sounds of the five singers who also play the qraqeb castanets. 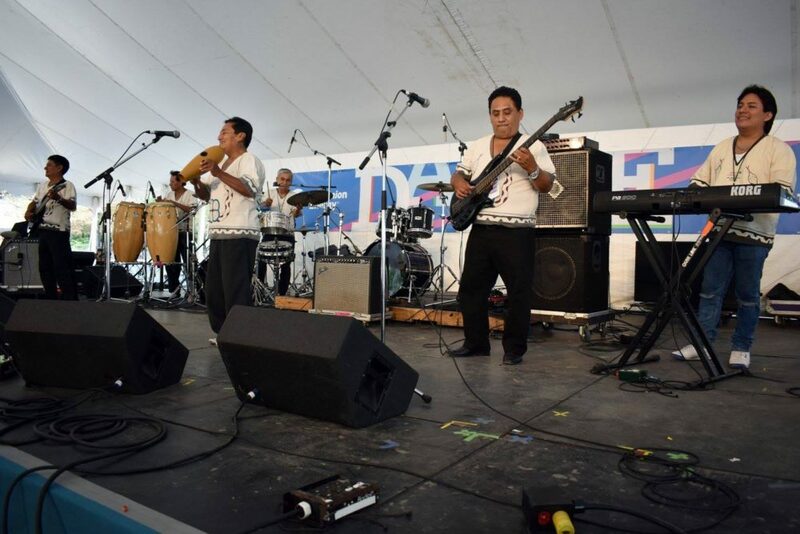 The world music comeback story of the year is surely Los Wembler's, who embarked on their first extensive U.S. tour some 50 years after their chica music first put a psychedelic spin on cumbia some 50 years ago. In Richmond the Colombian group played in the dance tent and, just like in Brooklyn, everyone was on their feet. I was especially sorry that the inevitable schedule conflicts caused me to miss a Guitar Traditions workshop, which featured Los Wembler's’ pioneering axemen Alberto and Bonar Sanchez along with country, flamenco, Western swing and jazz guitarists. 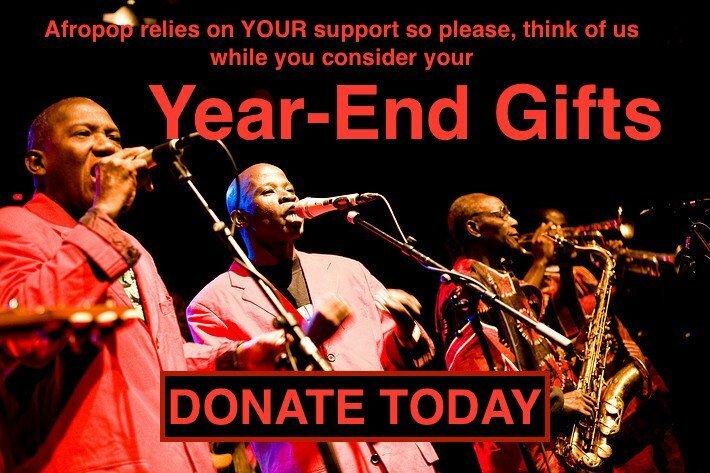 There were plenty of other examples of American traditions with African roots, perhaps none as obvious as the Washington, DC brand of funk known as go-go which combines Afro-Latin percussion with call-and-response chants. 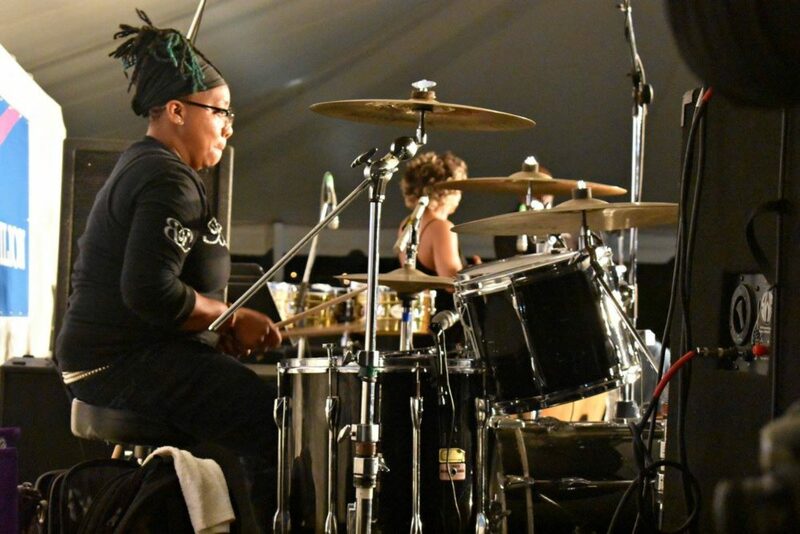 The tight all-female go-go band Be’la Dona drew such a massive crowd to the Community Foundation Stage that there were twice as many people outside the tent as there were underneath it, and almost no one was sitting in the tent’s chairs. Gospel was also well represented on the Virginia Folklife Stage, curated by state folklorist Jon Lohman. 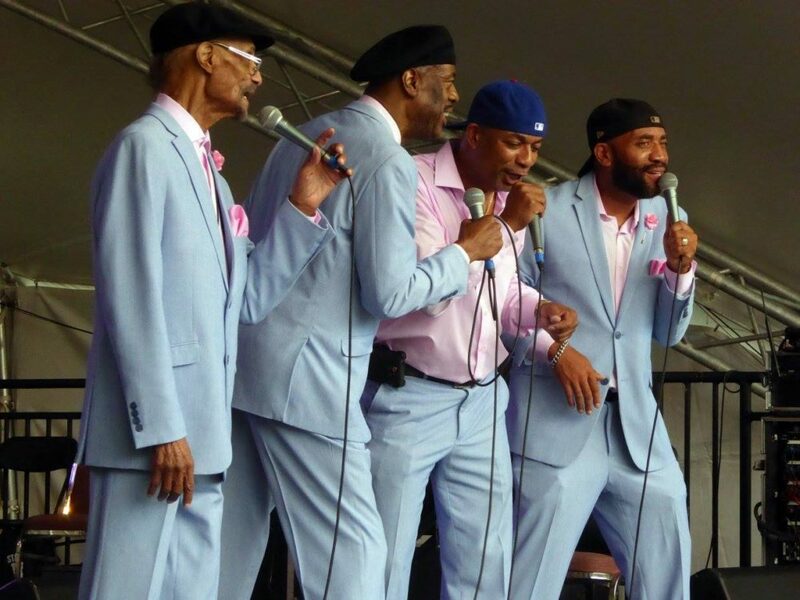 Thanks to spiritual singer Cora Harvey Armstrong and female quartet the Ingramettes, the multigeneration family affair is going strong despite the loss of matriarch Maggie Ingram. The Ingramettes also stopped by the cooking demonstration tent to reveal their secret to preparing a soul food dinner. One of the most unique sets in the Folklife tent was “Africa to Appalachia,” an ongoing project led by Malian griot Cheick Hamala Diabate that shows the banjo’s African roots. On this occasion it also featured bluegrass and old-time banjo masters Sammy Shelor and Riley Baugus, whose frailing style meshed perfectly with Diabate’s ngoni. Later in the set Diabate picked up his own banjo for a Malian song with Shelor and Baugus adeptly keeping pace. Don Bryant’s own set with Memphis’ Bo-Keys was a true revelation. 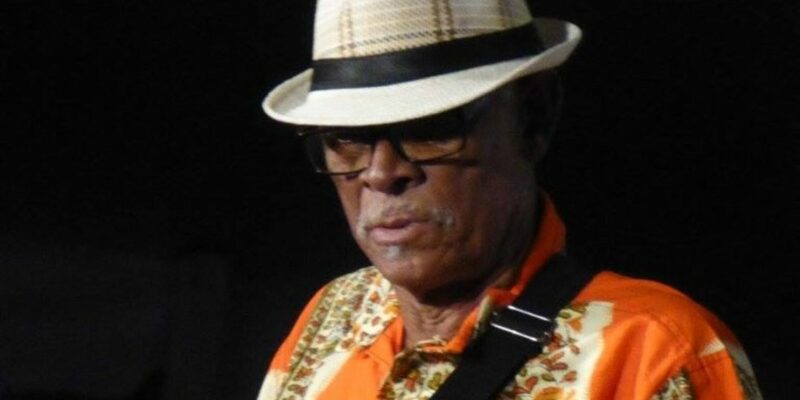 Although he recorded for Hi Records he is mostly known as being the husband of Ann Peebles--he co-wrote her “I Can’t Stand the Rain.” Peebles has been inactive since having a stroke, and Bryant recently released his first secular disc in decades. This was deep soul at its most passionate, and if there’s a soul band currently out there that can pack the emotional punch of Bryant and the Bo-Keys I haven’t seen them. After all that excitement I decided to end my weekend on a more meditative note with Sahba Motallebi, a Los Angeles-based virtuoso of the Persian tar, a lute-like instrument. Motallebi performed with mesmerizing percussionist Naghmeh Farahmand, another top-tier musician who has come out of L.A.’s Iranian exile community. The Richmond Folk Festival will return Oct. 12-14, 2018, and the National Folk Festival makes its debut in Salisbury, MD next September.